Utttarakhand is the land of nature’s mystique. Here, the purest form of nature rests. Amid the green hills, waterfalls sparkling in the sunshine weave a beautiful sight to behold. Waterfalls in Uttarakhand are one of the reasons why many tourists have found a little piece of heaven here in this state. 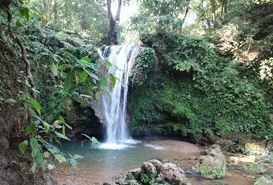 Some of the most popular waterfalls in Uttarakhand are Jharipani falls, Kempty Falls, Vasudhara Falls, Birthi Falls, Tiger Falls, Corbett Waterfall and Rudradhari Falls. Treat your eyes to the greenery spread all around and have a refreshing time.